Since Benno was young, he has been playing the piano, building up his musical background and his knowledge of music. In his late teens, he developed his interest for the more dancier side of things, and finally the big break came in 1996, when he teamed up with Piet Bervoets under the R.O.O.S. guise putting out remixes and productions left, right, center. Then his success continued expanding under various guises including Pedro and Benno, and then more famously, Rank 1. Their dance theme "Airwave" has been one of the defining trance tunes ever and is still in many DJ boxes to date, not to mention. Other than productions, his remixes which he has been behind have been some of the best, including Japanese diva Ayumi Hamasaki, Nudge & Shouter, Angelic, Baby D, just to name a few. Benno is still part of the Rank 1 team with Piet and have released their Symsonic Album in March of 2002 which has been a big success in Japan and sees as being a bigger success in Europe. 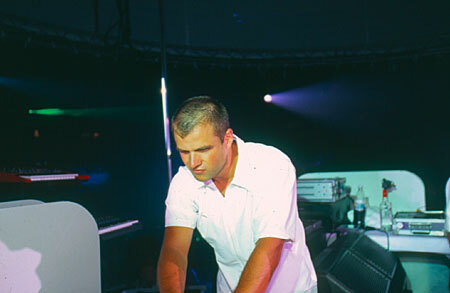 Benno has since worked with artists such as DJ Tiesto, Mark van Dale and DJ Enrico! More great tracks surely to come from Benno de Goeij in the future! 2003 sees the release of Rank 1's very own remake of their classic "Airwave" which tore the dance floors in 1999 and 2000, and this is set to be released in the spring of 2003.